Hove Village is proud to announce our second nursery which will be located in the centre of Hove within the historic Hove Library. 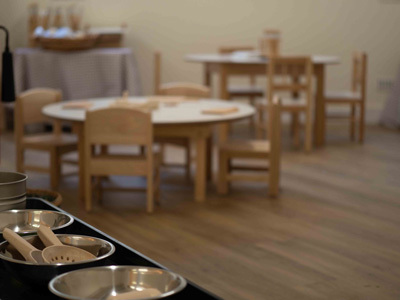 A unique day nursery and pre-school catering for children aged 2-5 years. The new setting at Hove Library will cater for pre-school aged children and will have a focus on introducing literature, benefitting from being situated in this fantastic library. Children will be introduced to science, technology, engineering arts and maths (STEAM) in fun, age-appropriate and engaging ways. Dance, art, drama, music and yoga sessions will also be available and children from the library will sometimes join activites with children from our New Church Road Nursery, which is just along the road. The Hove Village team is passionate about early education and being co-located at Hove Library will be a huge boost the parents looking for exceptional childcare and education within a unique environment. We are bringing life to the previously unused space located to the rear of our new nursery at Hove Library, to create a stunning new outdoor space. This new garden will be secure and only accessible via the nursery. Hove Village is investing tens of thousands of pounds in this space alone. 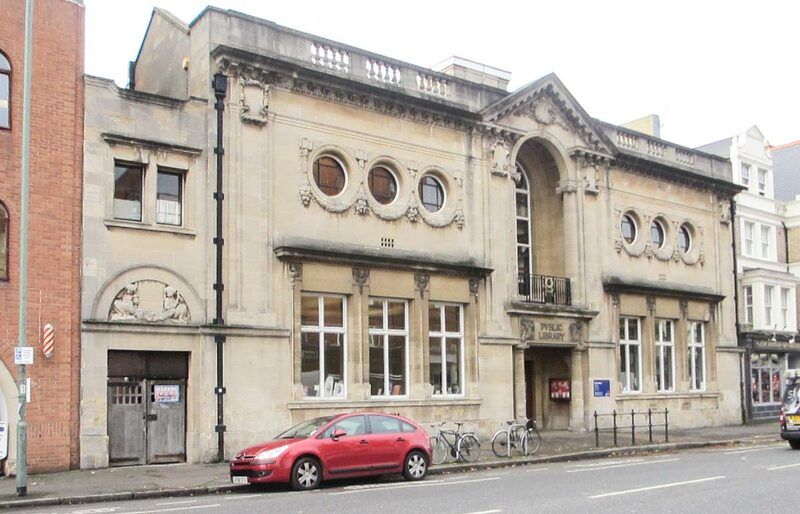 The existing area will be extended courtesy of a new curved wall and balustrade which has been sympathetically designed to complement the historic library - a Grade II Listed Building. The decked area will comprise non-slip composite decking, providing a safe place for children to play, no matter the weather. The existing tree will be retained in order to create a ‘secret garden’ area where children can engage in stimulating quiet activities. Being based within the library building, we will be able to take learning and storytelling outdoors by taking advantage of the wonderful facilities and resources the library has to offer. 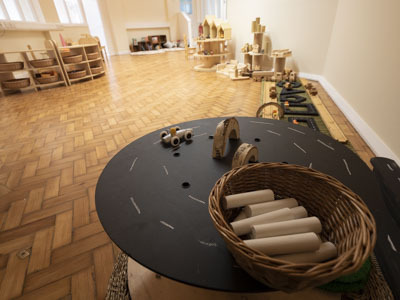 Children attending our Hove Libray setting will no only benefit from the wonderful facilities, but will also enjoy joining with the children at our other nursery setting just along the road. Parents are able to use the wonderful facilities at the recently refurbished library. This includes a newly-opened cafe on the ground floor, as well as everything else the library has to offer. Getting there is easy, with plenty of buses along the route and Hove mainline station being only a short walk away. Parking during drop-offs or pick-ups is easy, as you can use the Tesco car park opposite, where you don't have to purchase anything if staying under 30 minutes. Alternatively, park there for free for up to 3 hours when spending £5 or more. 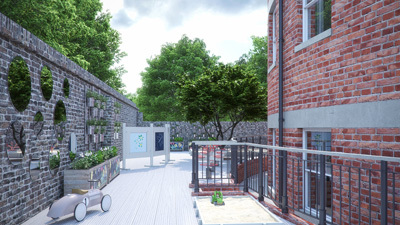 We will also have bicycle racks and a dedicated buggie park, so you can drop your little one off and then continue your commute.